When hemp is planted in the Lehigh Valley in May of 2017 it will not be making a brand new debut. No, it is in fact making a long awaited return to the fields it so comfortably inhabited for the better part of two centuries. When William Penn founded Pennsylvania in 1681 hemp had already been growing in settlements founded by the Swedes near the Delaware River as early as the 1650’s. Penn intended to greatly expand the production of hemp and at his request one of the first laws passed by the General Assembly in 1683 was an act to encourage all farmers to grow hemp. In 1685 William Penn observed great quantities of hemp already being grown here and declared that hemp would be among the four staples of trade. For the next forty-five years hemp was encouraged by the Pa. General Assembly. They paid increasingly higher bounties to farmers who would produce hemp for the ship building industry and for export to England. The farmers of the new settlements responded so much to the colonial government’s call for hemp that in 1729 when the county of Lancaster was formed it contained the original Hempfield Township named for the “great quantities of hemp” raised there. Between the years of 1720 and 1870 there were over 100 water-powered mills for processing hemp fiber in Lancaster County alone with dozens of hemp mills (and oil mills) in all of the surrounding counties. At least three dozen hemp mills ran in York County, at least three dozen in Berks County have been documented. Altogether over 200 hemp mills have been documented in Pennsylvania but a thorough and completely exhaustive search would surely reveal more than 300 hemp mills dotting the landscape of Pennsylvania from Pittsburgh to Philadelphia, from Erie to Easton and a similar number of oil mills. The culture of hemp was nearly universal until the 1840’s when the era of homespun finally yielded to the advances of cotton, yet hemp would continue to be grown in Pennsylvania for another century. Hemp was grown in every early settlement of Pennsylvania and therefore it is of no surprise that we find that the early settlers of the Lehigh Valley also grew hemp. In fact, the hemp pilot projects being planned by Lehigh University in conjunction with the Pennsylvania Hemp Industry Council are located in an area with a rich history of hemp production. In 1742 Christopher Heller arrived in the Lower Saucon Valley and built a log cabin. Nine years later, in 1751 he was joined by his son George Christopher Heller who had left Germany to come to the land that his father had prepared for him. 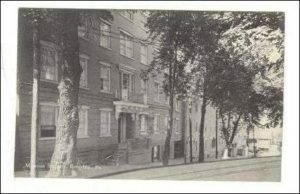 The son took up residence and within a few years he had built a hemp mill and oil mill to process both fiber for use in homespun clothing and oil from the seed to be used in paints, printer’s ink and lamp oil. Years later the mills were taken over by his son, Michael Heller. The hemp and oil mills remained in the Heller family for decades and stood just a couple miles from here, near Hellertown, named of course for the original Hellers who settled there. A couple miles north of the chosen fields for hemp is the town of Bethlehem, the center of the early Moravian settlement. The Moravians owned 12,000 acres of land, farmed communally and raised hemp as a major crop. In 1752 they erected a hemp stamping mill and an oil mill to process hemp fiber and hempseed oil. 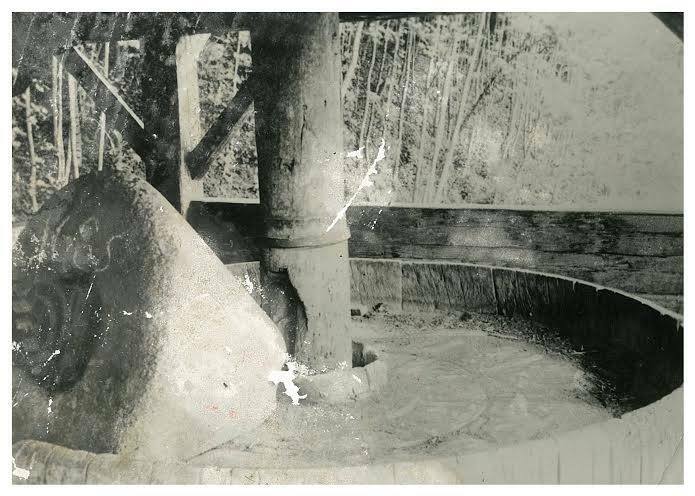 In 1767 they replaced the hemp stampers with a large conical-shaped hemp millstone, common in hemp mills around Pennsylvania. The Moravians kept meticulous records and show that many tons of hemp was processed for decades in the mill along with great volumes of hempseed oil. 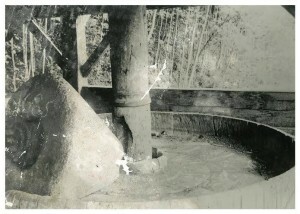 For a fascinating account of these mills please refer to The Bethlehem Oil Mill. An interesting side note: the first firehose used by the old fire company in Bethlehem was made out of hemp and brought from Germany in 1818. In 1846, A. Stone from Philadelphia made hemp firehoses and in 1876 the Wilkes Barre fire company ordered 1,000 feet of hemp hose. By the 1840’s hemp had already been grown in the Lehigh Valley and surrounding area for more than a century. Although the industry was declining many farmers continued to grow the crop for poultry and livestock feed, for various niche industries as a rotation crop to choke out weeds and even as a buffer crop for potatoes believing it to be a natural insect repellent. In the 1850’s hemp continued to be grown and during the Civil War in the 1860’s when the southern supply of cotton was cut off the production of hemp in Pennsylvania got a big boost. 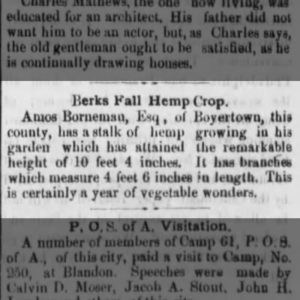 The agricultural census of 1870 does not record hemp in Lehigh but shows 10 tons of hemp grown in Schuylkill County. 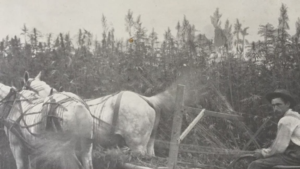 We know though that hemp continued to be grown in this whole area in the 1870’s and into the 1880’s. In 1878 over in Boyertown Amos Borneman had a stalk of hemp growing in his garden that was ten feet four inches high with branches 4 ½ feet long. That same year the Reading Times reported in a sentence “The hemp crop will be very large in the Lehigh and Schuylkill valleys”. 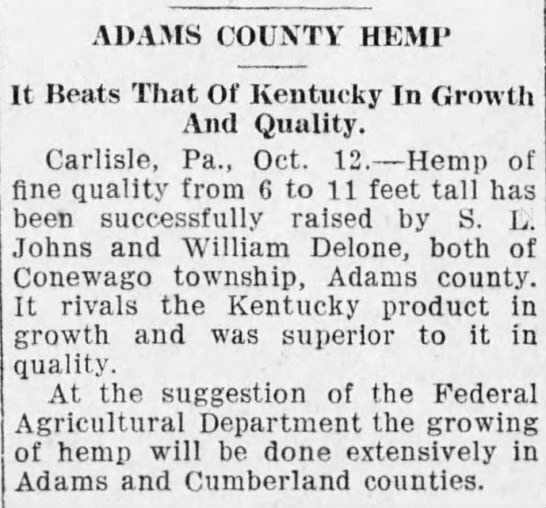 In 1879 the Wilkes Barre Record of the Times observed that the hemp industry had been declining over most of America but took note that “the increase of American hemp in this decade, and this state, give the subject some local and some national importance”. 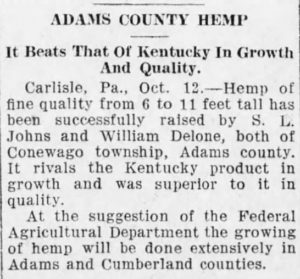 That same year the Reading Times reported “Farmers are beginning to pay more attention to hemp raising than they have done for many years”. 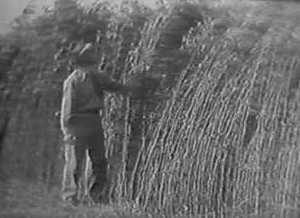 In 1881 the Berks County Agricultural Society offered a premium for hemp raised in Berks County. Their goal was for the promotion of the local agricultural and horticultural industries. In 1900 the Seed Committee for the Allentown Fair met and agreed to contract A.T. Stover to supply livestock feed needed for the fair. Included in the mix were bushels of hemp seed. For many years afterwards the Allentown Fair bought hempseed from local farmers. Stover got the contract many years but hempseed was sold in many stores throughout the area. Stover was still providing seed for the fair in 1931. 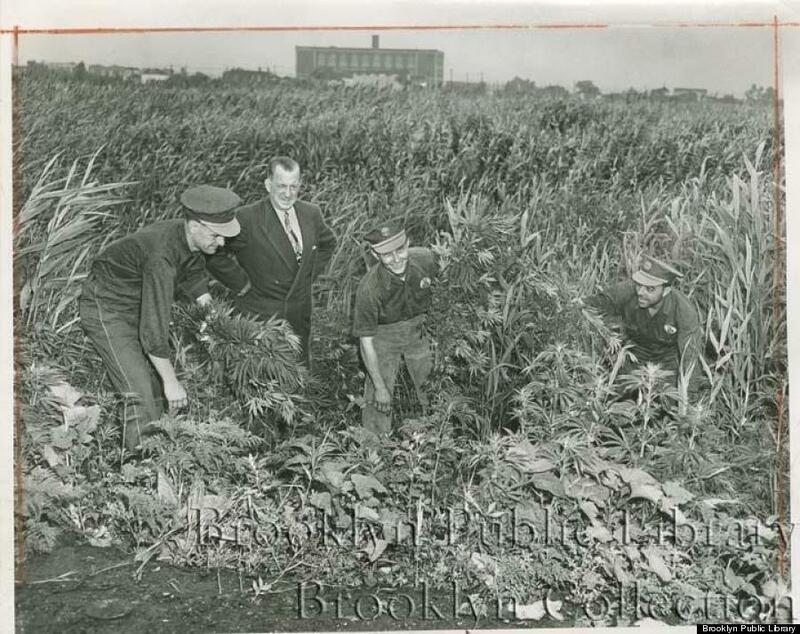 Much of this hemp was grown for the Hanover Cordage factory but we also know that hemp was being grown for paper in Cumberland County in the early 1930’s. In 1936 the Morning Call published an article about the Pennsylvania Board of Game Commission urging rural Pennsylvania residents to plant crops in strips and patches to feed wild birds and animals during the winter. Corn, millet and hemp were among the plants to be cultivated and left to stand during the winter months. There were many factories for making rope in this part of Pennsylvania called “ropewalks”. 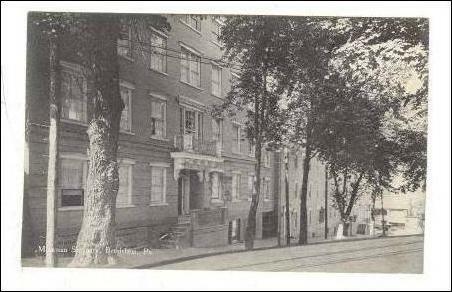 Ropewalks existed in Philadelphia, Easton, Allentown, Reading, Lebanon, Harrisburg, York, Columbia and many other locations. 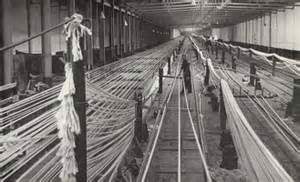 The ropewalk in Easton operated until the 1970’s though by that time it had long ago switched from locally grown hemp to foreign imports as well as synthetic fibers. So when was the last hemp crop planted in the Lehigh Valley? Of that we can never be quite certain. When “marihuana” was banned in Pennsylvania hemp got caught up in the confusion. Nobody seemed to be sure what was hemp and what was “marihuana”. Farmers in various parts of the state were arrested and pleaded ignorance of any crime. The common explanation heard was that the farmer was growing hemp for seed to feed their chickens. One of these men was Andrew Duna who was arrested in 1938 for growing hemp in Bethlehem for the express purpose of feeding his chickens. Then again, he also admitted to smoking the plant in his pipe. 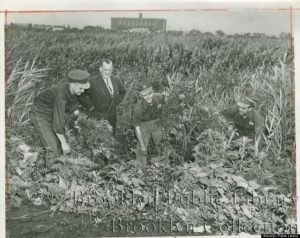 In the 1940 The Morning Call reported that wild hemp was found growing on a 1,800 square foot area by the Central railroad in Allentown. Authorities described it as the “the first known marihuana in Allentown”. It was however, wild hemp, remnants of a bygone era. One particularly impressive specimen was described as a bush of over seven feet high. Police spent the day uprooting the plants which amounted to 600 pounds and kept them under watch by two armed guards until the plants could be burned. The police chief warned that anyone who smoked the wild hemp would likely go crazy and kill members of their own family. He seemed confused. Somehow the memory of hemp was erased from the minds of those who remained in the Lehigh Valley. The plant of their ancestors and the founding settlers was now demonized as “marihuana” and though some farmers grew it in Pennsylvania into the 1940’s and there are anecdotal reports of hemp growing much later, eventually it became impossible to grow. The crop was banned in Pennsylvania, until this year. So it is with much excitement that hemp returns to the Lehigh Valley, Berks County, Schuylkill County, Dauphin, Perry and other counties throughout the state. Let there be no confusion, industrial hemp is NOT what we would call “marijuana”. Industrial hemp has a THC content of just .3% or less, a miniscule amount that could never be smoked to produce a “high”. Today, Pennsylvania has recognized that industrial hemp is a legitimate agricultural crop with enormous potential and thousands of potential uses. We have finally learned to “separate the rope from the dope”. On June 10 Pennsylvania Hemp Industry Council is celebrating the return of industrial hemp to Pennsylvania. 2017 is historic for Pennsylvania as we plant our first hemp crops in over 80 years! Join us for a family friendly event to learn more about PA’s 2017 pilot program, the history of hemp in PA and its potential for the future. We are gathering very near a planting site to celebrate the future as we also mark the final days of Hemp History Week. There will be featuring hemp paper making workshop, Hempcrete making demonstration, panel discussions about current hemp projects, special guest speakers, lunch featuring hemp foods, live music, hemp Vendors and a surprise or two! Joining us will be Pa. State Senators Judy Schwank and Mike Folmer, Representative Russ Diamond and Secretary Russell Redding of the Pennsylvania Department of Agriculture. At least six of the sixteen hemp trial participants will also be on hand to discuss their fascinating projects. The hemp is likely to be a few feet high by June 10. We will be witnessing the rebirth of a billion dollar industry in Pennsylvania. The crop that once grew so abundantly in the Lehigh Valley and all other parts of Pennsylvania has returned. The year 2017 will go down in history and will be remembered 100 years from now.